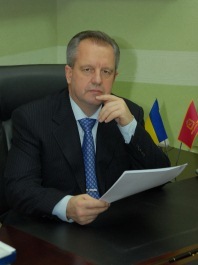 Founder and Publisher – Yaroslav Mudryi National Law University. Editor-in-chief – Getman Anatolii Pavlovych, Doctor of Legal Sciences, Professor, Academician of the National Academy of Legal Sciences of Ukraine. Deputy Editor-in-chief – Yarotskyi Vitalii Leonidovych, Doctor of Legal Sciences, Professor, Сorresponding Member of the National Academy of Legal Sciences of Ukraine. Electronic Edition was founded in 2011. Publication frequency – twice a year. Language of edition – Ukrainian, English, Russian. ISSN 2225-6555 (Оnline). Electronic Edition is included to the Catecory “B” of the List of Refereed scientific Edition of Ukraine – Order of the Ministry of Education and Science of Ukraine No. 358, 15.03.2019. Electronic Edition provided DOI (doi: 10.21564 – Digital Object Identifier) to articles from 2016. Modern life is characterized by acceleration of the development of science, technology, culture and comprehensive informatization of society. With the advent of new information technologies and systems formation of a new, global information rich civilization takes place, when success is reached only by those, who are able to produce and process information quickly, completely and accurately. This applies fully to the field of law. The level of its development is an indicator of the efficiency and innovation of legal science, its ability to respond quickly and adequately to challenges of the time. We offer to your attention the Еlectronic Scientific Refereed Edition of Yaroslav Mudryi National Law University «Theory and Practice of Jurisprudence». Its main objective is achievement of a new level of completeness and efficiency of satisfaction of the informational needs of society in knowledge in the field of law, promotion of its progress; development of general theoretical issues of law-making and law enforcement under conditions of formation of a law-governed state; study of actual problems of history of Ukrainian national state building, theory and practice of state law of foreign countries and international law; coverage of theoretical principles and applied aspects of activity of state authorities and local self-government bodies under conditions of development of civil society; enabling young scientists to present their research efficiently to a broad scientific community. The collection is another intellectual product of the University, indicating its entering into the global information space and the ability to meet the challenges of our time. The Electronic Сollection contains scientific articles on actual problems of jurisprudence: theory and history of state and law, constitutional and state construction, civil, labor, financial, economic, administrative, customs, environmental, criminal law, criminal and civil procedure, criminalistics, issues of combatting crime etc. The Electronic Сollection «Theory and Practice of Jurisprudence» is included in the list of scientific peer-reviewed editions, where the results of theses for a Doctor’s and Candidate’s degree in Legal Sciences may be published (Order of the Ministry of Education and Science of Ukraine № 1714 dated 28.12.2017). The edition is registered in the International Centre of Periodicals (International Standard Serial Number) – ISSN 2225-6555 (online). The Сollection has a full text network version in the Internet on the platforms of V. I. Vernadsky National Library of the National Academy of Sciences of Ukraine, is indexed in many international scientometric databases. According to the order of the Ministry of Education and Science of Ukraine No. 358 dated March 15, 2019, the electronic scientific publication “Theory and Practice of Jurisprudence” is included in Category “B” of the List of Scientific Receipt Editions of Ukraine as specialized in legal sciences (specialties 081,082).